I've got an ROG Strix RX 560 now Running just fine. is the kernal stable on your rx560? any issues? Just needs DeInit checked in Clover to enable the GPU. but great news you'll be able to work with Ryzen team! RAM: 12GB of a random generic chinese brand. 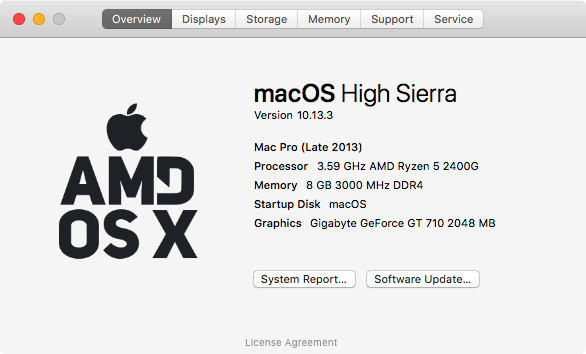 I strongly recommend XLNC's High Sierra installer v2. Find it here. All credit to XLNC.